St. Louis Asphalt Sealing & Striping partners with contractors, developers and property owners to bring real value to asphalt paving. St. Louis Asphalt Sealing & Striping extends the life of asphalt surfaces with our high-quality sealcoating services. St. Louis Asphalt Sealing & Striping uses commercial-grade hot crack filling compounds to extend the life of your asphalt paving. St. Louis Asphalt Sealing & Striping uses the highest-quality polymers and paints to provide a long-lasting finished look to your surface! St. Louis Asphalt Sealing & Striping has provided professional asphalt installation and asphalt paving repair services for over 20 years. Since our inception, our philosophy has consistently been to provide the best customer experience in the asphalt industry. Whether it’s a simple hot crack sealing job or a complete tear out and replacement of your existing asphalt paving, we want to exceed your expectations at every step of the process. We guarantee our professionals will complete your project utilizing the best products and tools in the industry. 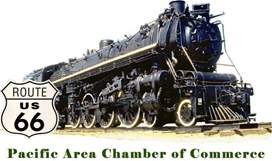 We work to anticipate your needs and are committed to building relationships lasting well into the future. When an odd issue does arise, we will work with you to resolve them satisfactorily. St. Louis Asphalt Sealing & Striping has stood by these promises for over 20 years! We believe an honest, professional workmanship will always trump low prices in the end. Low cost is that way for a reason: corners were cut with the product, workforce isn’t compensated well or experience is lacking. In any case, your asphalt project deserves the professionalism and high-quality work St. Louis Asphalt Sealing & Striping provides! 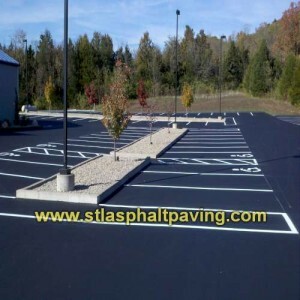 St. Louis Asphalt Sealing & Striping works with asphalt surfaces everyday. Working only with asphalt has made our employees more than just professionals. Our employees are experts in asphalt. No asphalt surface project is too big or too small for our team. Why hire a fly-by-night or seasonal company when an expert is just down the street?